Dabur, ITC, Varun Beverages (PepsiCo's bottler) and Coca-Cola, have plants in Nepal. 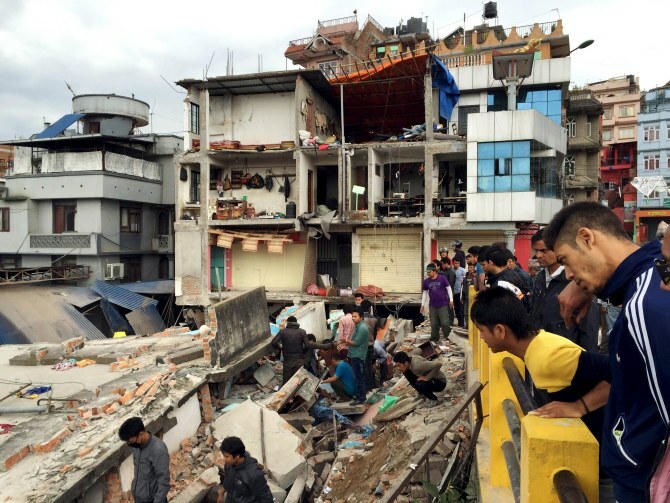 Indian consumer goods companies that have a manufacturing base in Nepal are evaluating the impact to their business after a devastating earthquake rocked that nation on Saturday. Companies such as Dabur, ITC, Varun Beverages, who is PepsiCo’s bottler, and Coca-Cola, have plants in Nepal. Ravi Jaipuria, chairman, RJ Corp, which owns Varun Beverages, said, “We have one bottling plant in Kathmandu, which employs around 300-400 people. There has been no loss of life or significant damage to property. I was there in Nepal till Friday afternoon." A Coca-Cola spokesperson said there was some damage to stock kept at one of its bottling plants in Nepal. “Some glass bottles and crates were damaged at one of our units, but there was no loss of life. We are evaluating if there is any further damage due to the earthquake,” he said. The revenue loss to business could not be ascertained immediately. ITC, on the other hand, has a subsidiary company called Surya Nepal Private Ltd (SNPL), which, according to its website, is engaged in the business of cigarettes, safety matches and ready-made garments. It is also one of the largest contributors to the Nepal government’s exchequer, accounting for about 14 per cent of Nepal’s excise collections and three per cent of total revenues of the government of Nepal. Turnover for financial year ended March 2014 of SNPL was Rs 1,226.81 crore (Rs 12.26 billion), according to ITC’s last annual report. ITC sources said that as per their initial assessment, there seemed to be no impact on the manufacturing facility of SNPL. According to industry estimates, not more than 1-2 per cent of an Indian FMCG company’s total turnover comes out of Nepal. The reason for this is the size of the market: The total organised FMCG market in Nepal including essential goods as well as beverages is pegged at about Rs 1,500 crore (Rs 15 billion). Barring a few firms who have plants, some prominent names have opted to stick to exporting their products there. These companies include Marico, Godrej Consumer and Emami. “We have no factories in Nepal and exports to that market are not huge,” Saugata Gupta, MD, Marico Ltd, said. Harsh Agarwal, director, Emami, said, “We have a few people on our rolls in Nepal, who are largely sales staff working with local distributors to push our products in that market. They are safe.” A GCPL spokesperson also said its sales force was safe following the earthquake.